إذا كنت تبحث عن عقار بموقع جيد في المدينة، فقد وجدت ضالتك في Oxley Court Serviced Apartments. يمكن من هنا للضيوف الاستمتاع بسهولة الوصول إلى كل ما تقدمه هذه المدينة النابضة بالحياة. يقع هذا الفندق الحديث على مسافة قريبة من المعالم السياحية الشهيرة. إن Oxley Court Serviced Apartments حريص على توفير الراحة للنزلاء، فلا يوفر الموظفون جهداً في تقديم أفضل الخدمات وضمان حسن الاستقبال. تتضمن الميزات الرئيسية في هذا الفندق: واي فاي مجاني في جميع الغرف, تسجيل وصول/خروج سريع, تخزين الأمتعة, واي فاي في المناطق العامة, صف السيارات. لقد جهزت هذه الإقامة الفندقية بعناية فائقة لتوفر مستوى عالي من الراحة. في بعض الغرف يجد النزيل تلفزيون بشاشة مسطحة, اتصال لاسلكي بشبكة الإنترنت (مجاني), غرف لغير المدخنين, مكيف هواء, تدفئة. يقدم الفندق مجموعة واسعة من وسائل الراحة المتنوعة، كمثل: حديقة. إن Oxley Court Serviced Apartments هو خيار ذكي بالنسبة للمسافرين، فهو يوفر إقامة هادئة ومناسبة للاسترخاء. يُرجى ملاحظة أن ساعات عمل مكتب الاستقبال هي: أيام الإثنين إلى الجمعة: من الساعة 8:00 صباحًا إلى الساعة 6:00 مساءً، وأيام السبت: من الساعة 8:00 صباحًا إلى منتصف النهار، وأيام الأحد: من الساعة 9:00 صباحًا إلى منتصف النهار. يُرجى الاتصال بالعقار مباشرةً في حالة الوصول في وقتٍ آخر بخلاف الأوقات المذكورة حتى يمكن إجراء الترتيبات اللازمة للحصول على المفتاح. Space clean just what 3 men need on a road trip Ideal location close to a club and the best Pub the Kingston for food and drinks for 3 hungry men. This was a nice little apartment although a little difficult in the dark trying to find our room and a parking spot. To obtain the key I needed to access the safe box which was ok but I did stress me a little trying to work this out after a long drive. Besides this the unit was clean and warm and the beds comfortable. The only reason why I rated the staff a 1 was because I only interacted with them for less than a minute on checkout. We love the Kingston location. It is close to everywhere we want to go in Canberra and has a nice little shopping centre that provides groceries, some shopping, cafes and a great pub lunch. 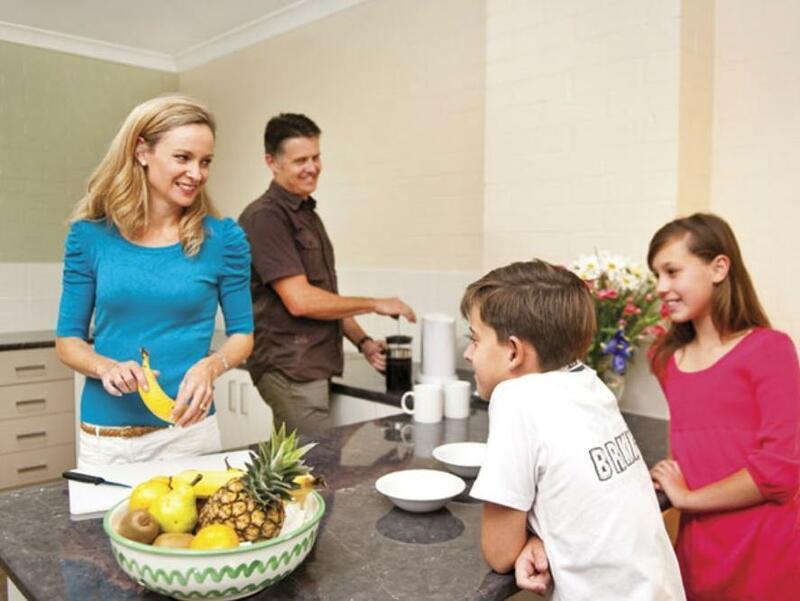 The Oxley Court apartments are spacious and clean. The staff are lovely and efficient and the area is quiet and relaxing. Provided a nice and cleam enviroment. Thank you for the ease of access, parking, and everything else with no distress. Simply not good value for money - overpriced for an old, dated basic apartment with extremely poor Wifi, very poor lighting and very erratic hot water system. Well located near Kingston and Manuka, spacious rooms, but in need of refurbishment. Good location, a bit run down though, and the bare minimum in the kitchen. Good location, clean - very nice! Relax and comfortable stay. But located slightly far from city center. Hiring car is definitely a good move. Apartment was clean and warm, but very basic. Very tired, old fashioned 1980s style dark and basic. Wi Fi did not work, neither did the hair dryer. Ok as a base for Canberra, but not if you want a bit of luxury for your stay. Overpriced. Excellent value and comfort. 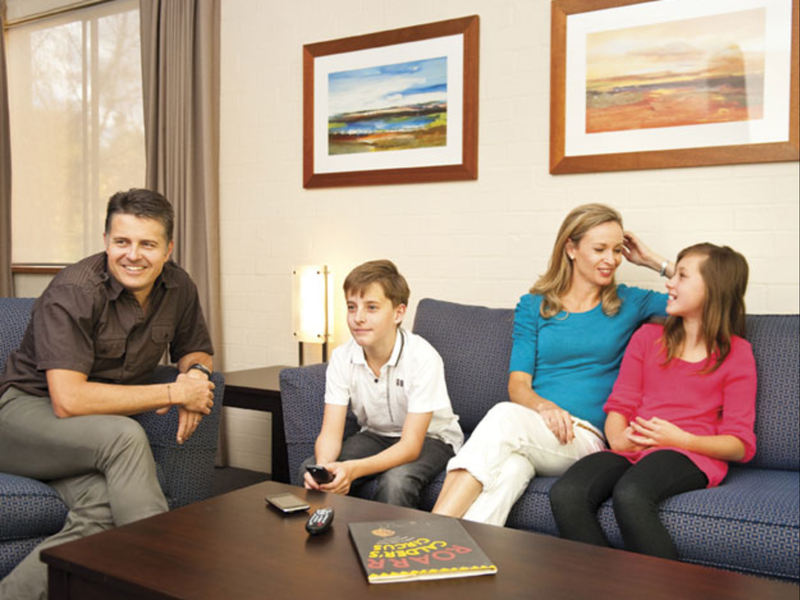 Ideal for a short break in Canberra. very quite, not far from the parliment hill and the lake, but there is only 1 bathroom, not very convenient. Does have Foxtel program. free and adequate parking space. Decent sized lounge area with a fold-out double bed. Walking distance to Kingston restaurants. Could do with a new bed in the master bedroom...this one has seen too much action.